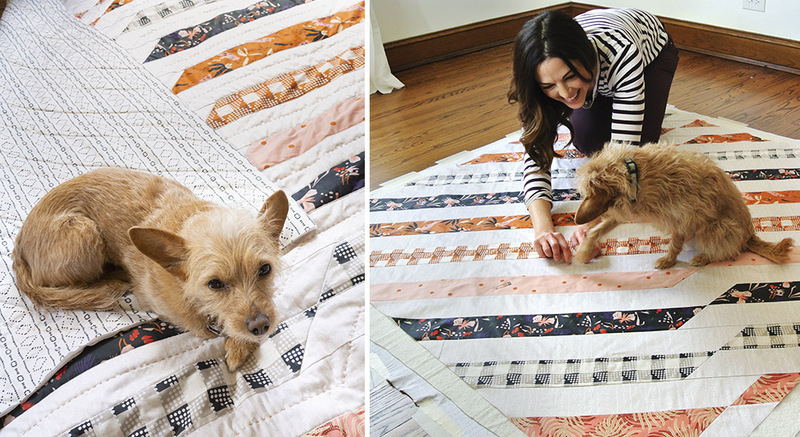 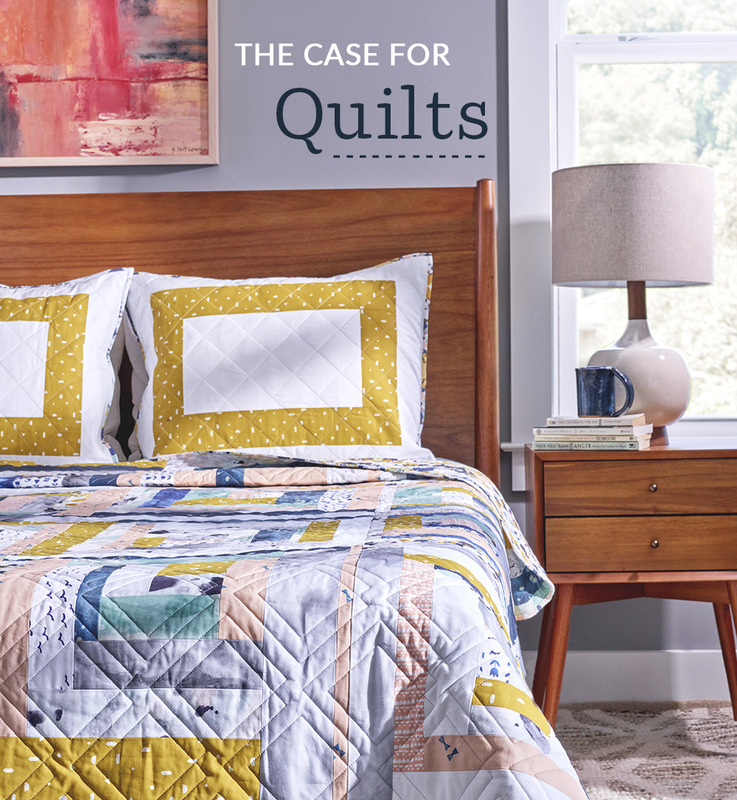 To kick off our first interview with creative business folks, Michelle Wilkie of Factotum of Arts visits the blog to share her journey in creating quilts and getting her work accepted to QuiltCon! 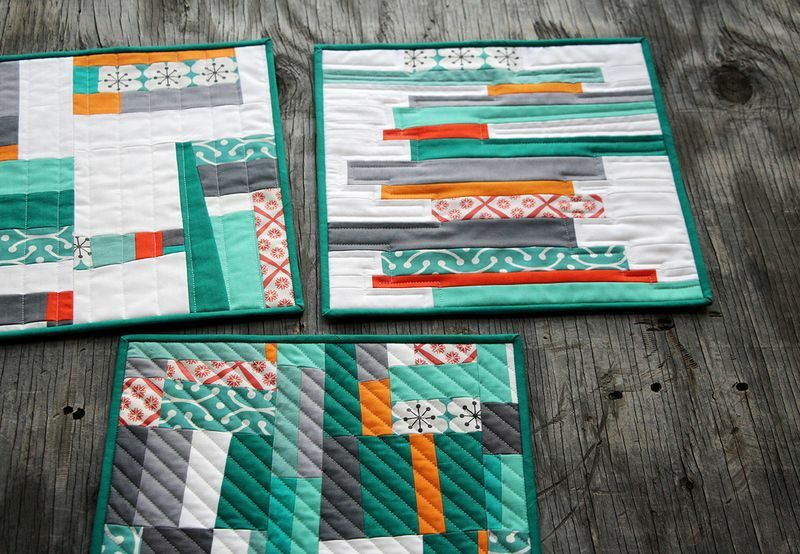 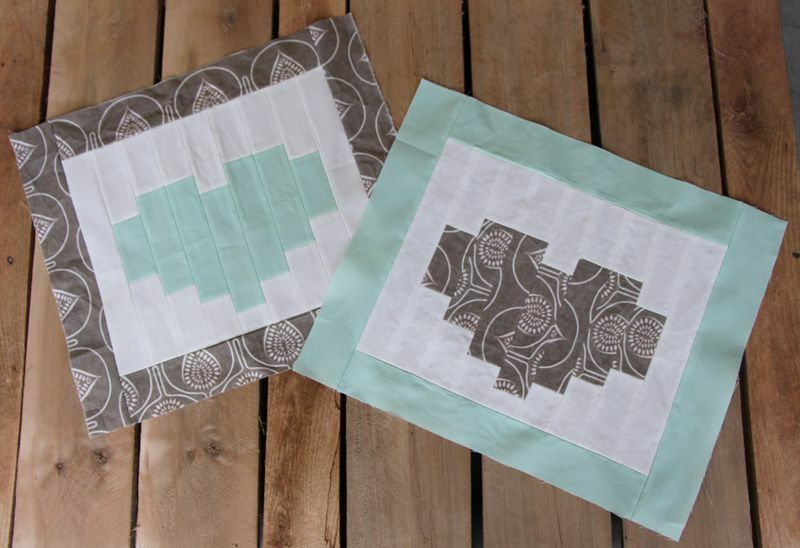 Michelle is a great friend to Spoonflower and our Greenhouse community, sharing her innovative patterns and expertise in a Modern Quilt Block class series here in our community classroom and with a lovely Half Square Triangle tutorial on our blog. 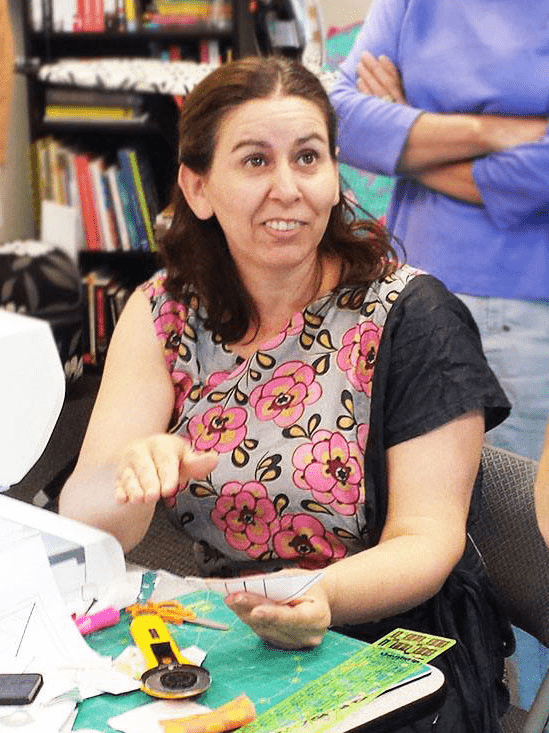 When we heard she was heading to QuiltCon, we were thrilled for an opportunity to share the story of her whirlwind journey into quilting and on to having two quilts accepted to QuiltCon!